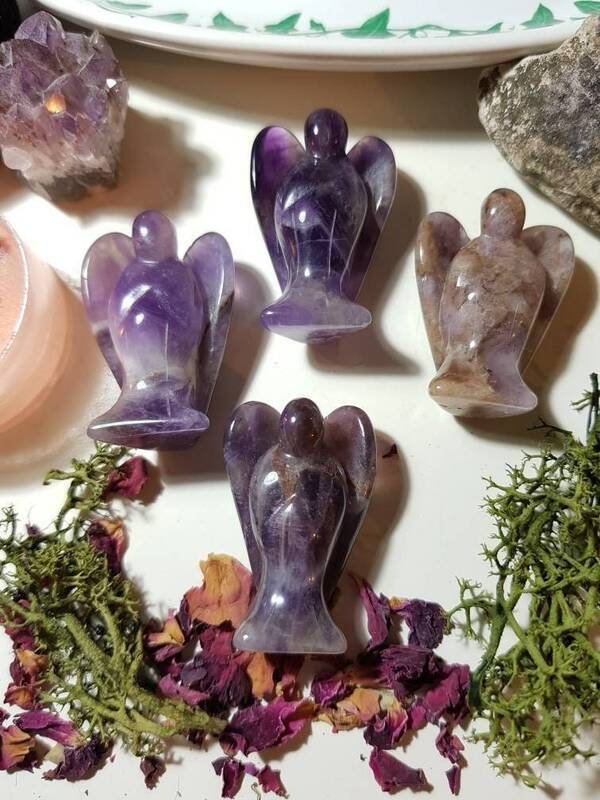 Amethyst angels. Perfect for your altar or your pocket. 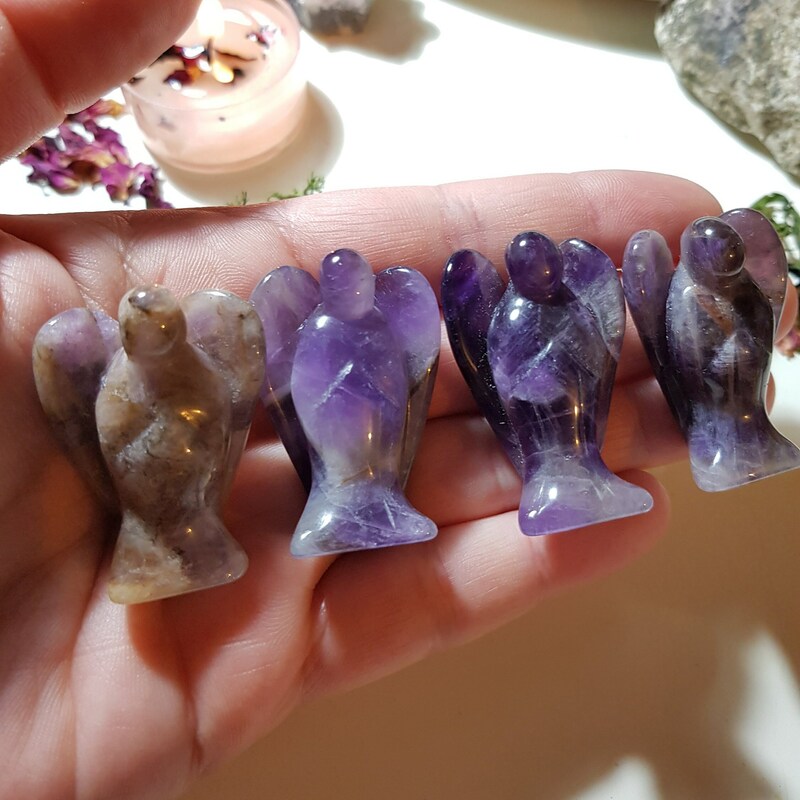 Amethyst Angels measure approx. 4cm x 3cm. Super quick delivery, packaged with care and all the lavender sprinkles and incense cone just adds a super special touch. Highly recommend shopping here! 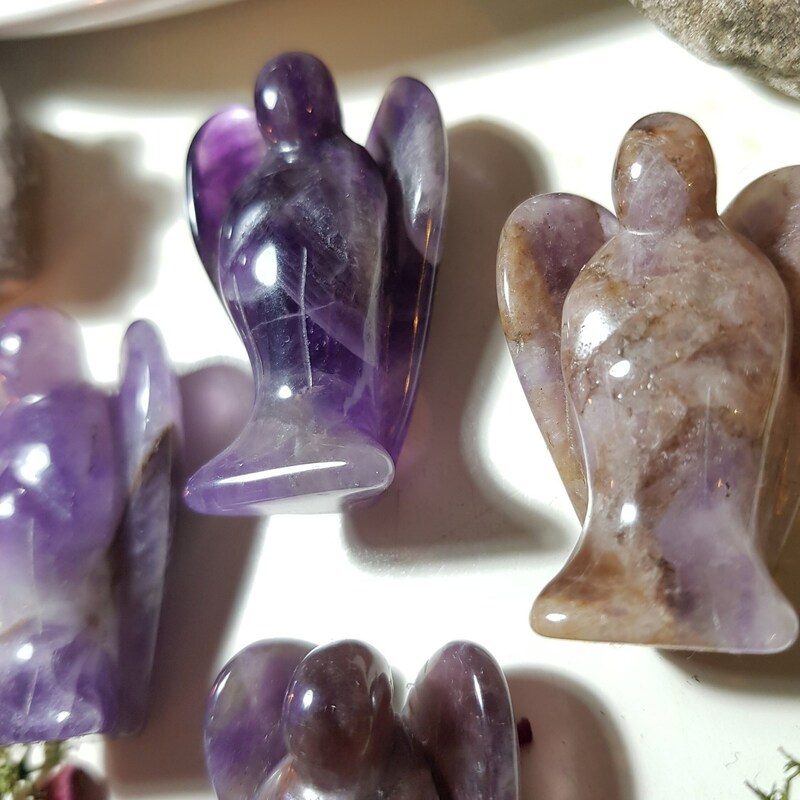 Love my amethyst angel and it arrived beautifully packed!